You may think that you can put off your Toyota’s wheel alignment, but in reality, this particular type of maintenance is just as important to your safety as any other kind. Wheels that are misaligned will wear unevenly, potentially leading to damage to your vehicle. Misaligned wheels also hurt your car’s overall performance, both in terms of its handling and fuel efficiency. You should always go to a Toyota expert for your wheel alignment, as he or she will be familiar with your particular vehicle. If your wheels are unevenly worn to a severe degree, then your tires may need to be replaced as well. The process of aligning the wheels has to be done by a professional, as it is an exact science. The technician will take precise measurements to ensure that your wheels create a 90-degree angle with a level, flat road surface and that they run perfectly parallel with the vehicle’s long axis and each other. It may seem like a minor thing to get a wheel alignment, but this regular maintenance is crucial for nearly every aspect of your car’s functioning. Aligning the wheels helps to decrease resistance that the car faces from the surface of the road. This in turn makes your driving experience much smoother, instantly improving your car’s performance. Because the driving experience is smoother with properly aligned wheels, you will also notice fuel savings. The smoother contrast between the surface of the road and the tires reduces the effort your car has to put into moving forward, reducing the amount of fuel that the engine consumes. This improvement in fuel efficiency has several benefits: It will help your pocketbook, decrease the frequency with which you need to refill your tank, and minimize the negative effects on the planet associated with gasoline, both drilling for it and emitting it when it is used. Getting a wheel alignment will also assist with other aspects of your car’s functioning. For example, when the wheels aren’t properly aligned, the brake shaft will not work optimally. In addition, you may notice that the uneven tires lead to pulling of the steering wheel. Although the process of having a Toyota wheel alignment done is easy for a trained professional to do, it is not always simple for the driver to know when the alignment needs checked. Part of the issue is that many signs of a potential alignment issue can also indicate some other problem with your car. Vibrations of the steering wheel while driving, for example, may indicate that you need your alignment checked, but it may also mean that there is a problem with the steering column or even the brakes. Because of these multiple possible explanations, you should always take your car to a professional if you notice any potential problems or unusual behavior or responses from it. For reference, the other most common indications that you should have your alignment checked include the car drifting to the side despite you steering straight and the car going straight despite the wheel not being centered. 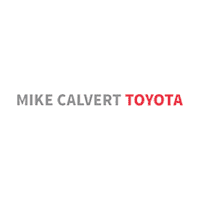 For a better idea of what exactly a Toyota wheel alignment includes and how long this particular maintenance service will take, contact Mike Calvert Toyota in Houston, Texas.